This is an annual Evacuation and Repatriation only plan. You must have a major medical health plan in order to purchase this plan. It is for students, scholars, faculty members, and their families. It covers Emergency Medical Evacuation and Repatriation and other Assistance Services. It meets the visa requirements for J1, F1, and other visas where the US government requires this coverage in addition to a Major Medical plan. This plan meets and exceeds J1/J2 regulations effective 5/15/2015. Rates are annual per person. Period of Coverage This coverage is valid during your enrollment in a participating College or University or teaching program, if the required fees for coverage have been paid. Up to $50,000 Emergency Medical Transportation: (Evacuation/Repatriation) If a Member is away from his/her permanent residence and is involved in an accident or suffers sudden illness, and medical treatment is not available in the opinion of the ON CALL physician, ON CALL will make arrangements and pay for transfer to the nearest facility capable of providing adequate care. Up to $2,500 Joining of Injured Family Member: If a Member is injured away from home and will be hospitalized for more than 7 days, at the Member’s request, ON CALL shall make and pay for, economy travel arrangements for a parent or family member to join the Member. Up to $2,500 Joining of Family Member Accommodation: If a Member is injured away from home and will be hospitalized for more than 7 days, and ON CALL has made travel arrangements for a parent or family member to join the Member ON CALL shall also make suitable hotel arrangements and pay for hotels and meals up to a maximum of $ 150 per day to a maximum of 5 days. Up to $ 2,500 Return of Dependent Children: If a Member is hospitalized for more than seven (7) days, ON CALL will return the Member’s minor children who are under 18 years of age and accompanying him/her on the trip, to their home, with an attendant if necessary. Up to $50,000 Repatriation of Deceased Remains: In the event of a Member’s death away from home, ON CALL will render every assistance possible to obtain necessary clearances and arrangements for the return of deceased remains and pay such reasonable expenses associated with the return. Medical Monitoring: ON CALL shall, via telephone, monitor the Members condition when hospitalized and provide ongoing updates to the Member’s family. Depending upon the medical and/or geographical situations, ON CALL may retain the services of consulting physicians/nurses and/or other medical professionals with relevant areas of expertise to assist in the monitoring of Member’s condition. ON CALL does not provide or control the provision of medical services to Members. The attending medical practitioner and/or the Member or their representative makes all decisions regarding medical services. The parties understand and agree that the rendering of medical services to a Member and the result thereof are solely within the control of medical practitioners and/or other providers of the services and advice. ON CALL and performance of its obligations, shall not constitute any undertaking to render any medical services, to assume or guarantee the result of medical services provided on behalf of Members, or to guarantee that the medical services performed by others will be rendered in accordance with generally accepted standards or procedures. 24 Hour Nurse Help Line: ON CALL shall provide Members with clinical assessment, education and general health information. This service shall be performed by a registered Nurse Counselor to assist in identifying the appropriate level and source(s) of care for members (based on symptoms reported and/or health care questions asked by or on behalf of Members). Nurses shall not diagnose Member’s ailments. Pre-Trip Planning: ON CALL shall provide up to date information either by email, fax or over the phone regarding vaccinations requirement, health risks, travel restrictions and weather conditions for global destinations worldwide. 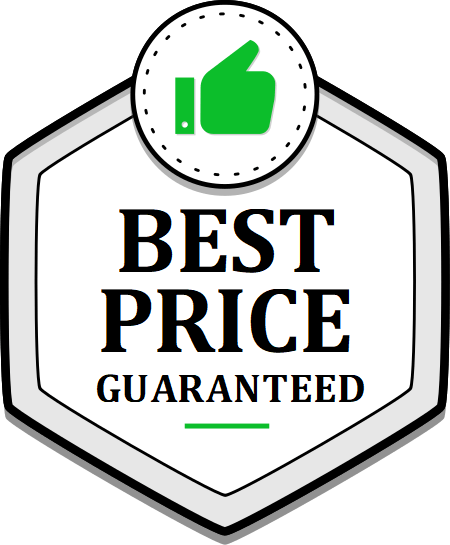 Guarantees: Deposits, advances and guarantees will be provided for, but not limited to, medical facilities, hotels, airlines, ground and air ambulances and other like providers to secure service for Member. Any advances of funds on behalf of the Member shall be charged to the Member’s credit card at the time of service. Dispatch of Medicine: ON CALL shall dispatch to the Member prescription medicine, when not locally available and legally permissible, upon the written authorization of Member’s Primary Physician. The Member is responsible for any expenses incurred in this regard, including but not limited, to the cost of the pharmaceuticals, shipping cost, taxes or other import/export duties. These expenses will be billed to the Member’s credit card prior to shipping. Dispatch of Physician/Nurse: When a Member is away from home ON CALL may at its sole discretion dispatch to the Member’s location a physician or other health care professional to assist in determining the medical condition and suitability to travel to a Member who has been hospitalized. Medically Supervised Repatriation: If in the opinion of ON CALL’s physician, it is medically advisable to transfer a sick or injured Member who is away from home to a medical facility nearest his/her permanent residence following stabilization, ON CALL shall make the arrangements and pay for transfer up to the limit of Coverage.